Join us at March's Monthly Membership Happy Hour co-hosted by the Litigation Committee and the Military and Veterans Affairs Committee! Whether or not you are an AABANY member, a member of the two featured committees, or any AABANY committee, come out and meet other AABANY members and leaders for our final Monthly Membership Happy Hour of the fiscal year, brought to you by the AABANY Membership Committee. On Wednesday, March 27, 2019, please join us at Flushing Bank, 61-14 Springfield Blvd, Bayside, NY from 5:30-8:00 p.m. for a CLE on Issues of Capacity to Sell in Real Estate Transactions. AABANY’s Real Estate Committee, KALAGNY, and Big Apple Abstract Corp.
We hope all participants in the Mentorship Program during the past year has found the experience to be worthwhile and rewarding. As we enter the last (official) month of this year’s Mentorship Program, we would like to invite you to the Mentorship Program End of Year Reception on March 28, 2019. It promises to be a night of good conversation, networking, food and drinks. For mentees, this is the time to keep your word of attending the Program events and get one more opportunity to build valuable connections. For mentors, please allow us to extend our thank you to you in person. AABANY's Women's Committee is hosting an Axe Throwing Social Event on 3/29! This event is co-sponsored by the Young Lawyers Committee. Come join us for an evening of fun and de-stressing! Price: $10 for AABANY members, $20 for non members (includes food and drinks!). Walk-ins are $25. If you are a member and would like to register, please click here. If you are not a member and would like to register, please click here. Space limited, so sign up right away!! 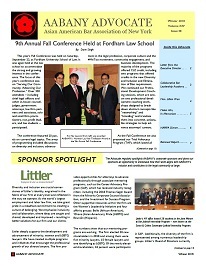 AABANY congratulates Judge Kiyo Matsumoto on her being recognized with the Connor Inn Excellence Award in January and more recently on her participating in the presentation of the Association Medal to Justice Sonia Sotomayor at the New York City Bar Association. Read more below. 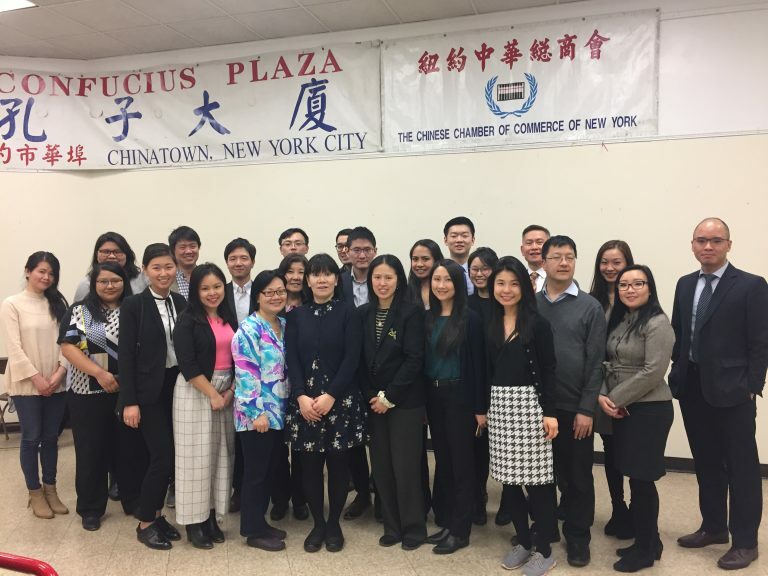 March’s Monthly Pro Bono Clinic, held on Wednesday, March 13 at 33 Bowery Street in Confucius Plaza, brought out 21 lawyers and 11 interpreters who volunteered their time to help 31 clients. We thank everyone that volunteered. To read more, click here. More information about the program can be found on the CBLA website. Please contact CBLA Steering Committee members Gary Zhao ([email protected]), Greg Schwartz ([email protected]), Kristin Haugen ([email protected]) and Marianne Chow Newman ([email protected]) with any questions. March 19: AABANY Co-Sponsors: Real Estate Fraud and Cyber Security, For more information, click here. March 20: Monthly Membership Happy Hour. For more information, click here. March 28: AABANY Co-Sponsors: Resume Review Workshop. For more information, click here. March 28: AABANY GSPI and Pro Bono Committee Joint Dinner. For more information, click here. April 2: AABANY Tax Committee and In-House Committee Present: Tax 101 for the In-House Counsel. For more information, click here. April 3: AABANY Co-Sponsors: Selling and Purchasing Real Property from an Estate. For more information, click here. March 20: Brooklyn Women’s Bar Association Presents: Women’s History Month Celebration. For more information, click here. March 26: Fordham University Basic Claro Training Program. For more information, click here. March 26: Judges and Lawyers Breast Cancer Alert presents “Mammograms on Trial.” For more information, click here. March 27: AALDEF's 45th Anniversary Celebration. For more information, click here. March 28: Jewish Lawyers Guild’s 43rd Annual Dinner. For more information, click here.